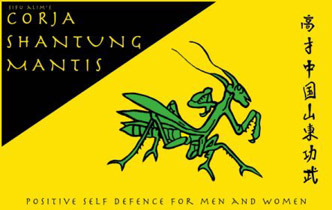 Welcome to Northern Mantis .co.uk, this is a Northern Praying Mantis Kung Fu club web site based in Central London UK. Corja Shantung Northern Mantis Kung Fu is an extremely effective Martial Art from Northern China consisting of a blend of 18 Kung Fu Systems. It uses a vast variety of Hand Strikes, Kicks, Locks, Trapping, Grappling and Anti-Grappling techniques. Physical fitness, strength, co-ordination and flexibility will be enhanced very quickly. If this is your first visit to the site, you might like to find out a little more about the structure of our system or view the gallery or class times . If you have any comments or submissions to make to this site please contact the Web Designer. If you are interested please visit the club, we have classes based in North London and Central London UK.